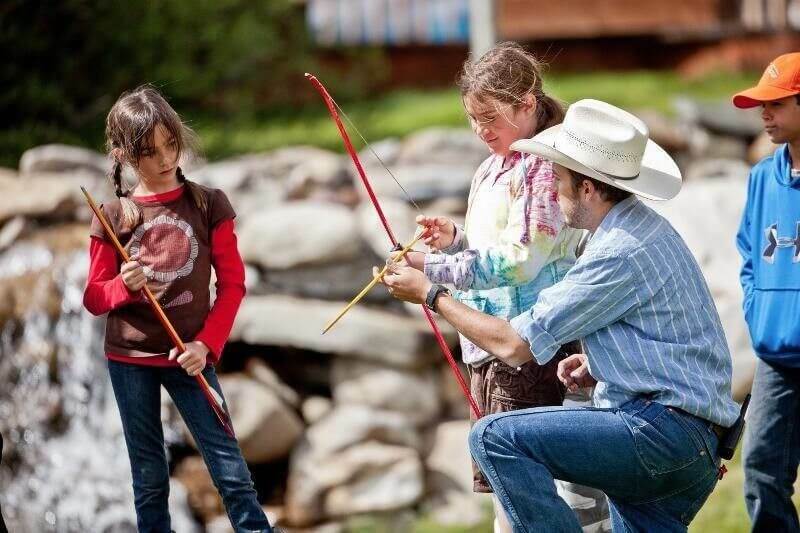 Do you want to experience the wilderness? 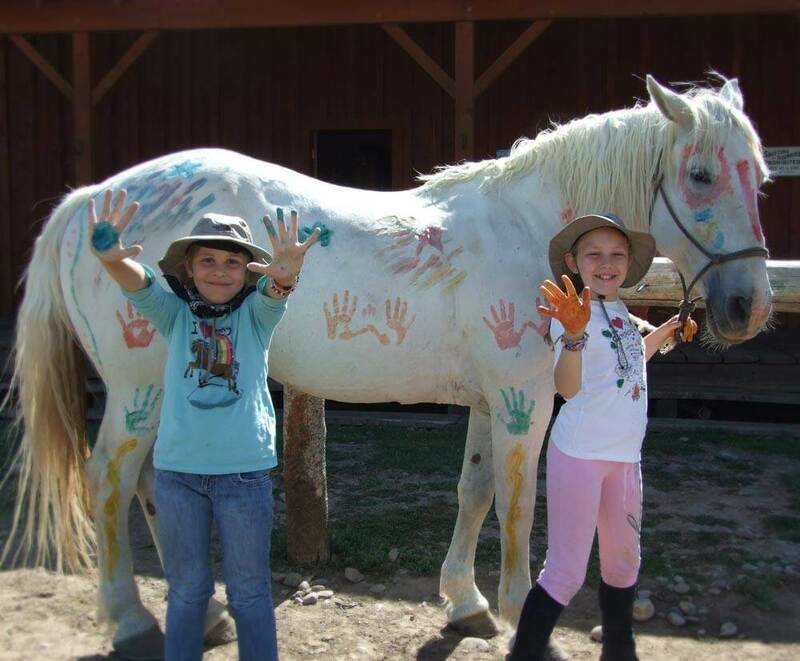 Are you looking for a unique vacation experience that will create a lifetime of memories? 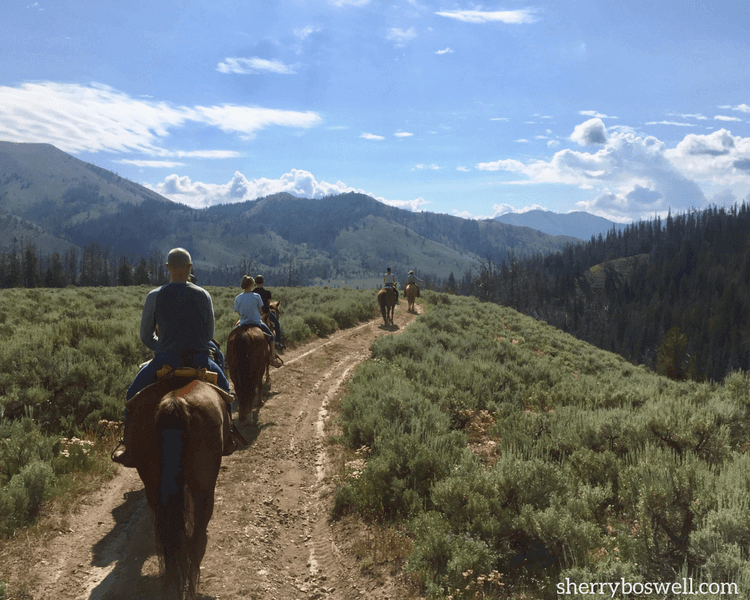 Do you want to escape the mundane daily struggles and reconnect with nature? Well, we have the solution! 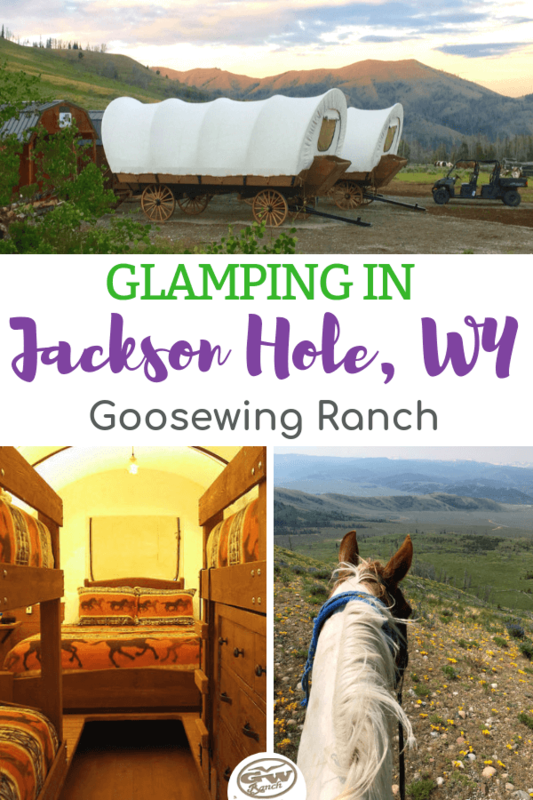 How about making your next holiday a glamping adventure in the heart of Jackson Hole, Wyoming at Goosewing Ranch. 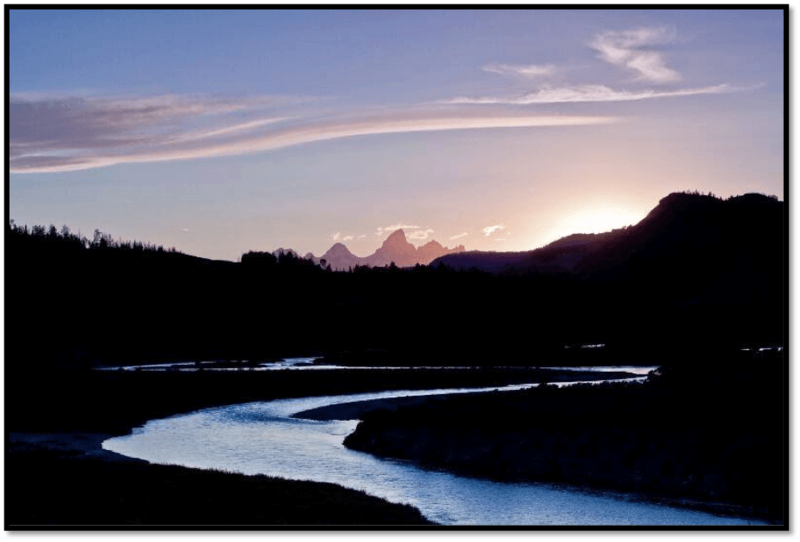 Jackson Hole is a fabulous vacation destination. 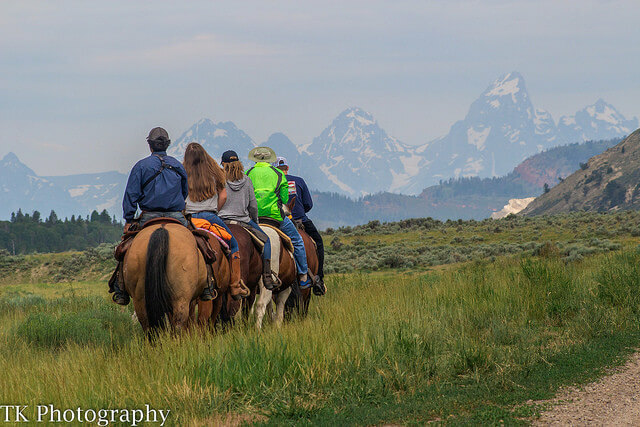 With nearby national parks in Grand Teton and Yellowstone, the Teton Village, rodeo, a national elk refuge, hot springs, and the Jackson Town Square, the sights and sounds of Jackson Hole are diverse and dynamic. 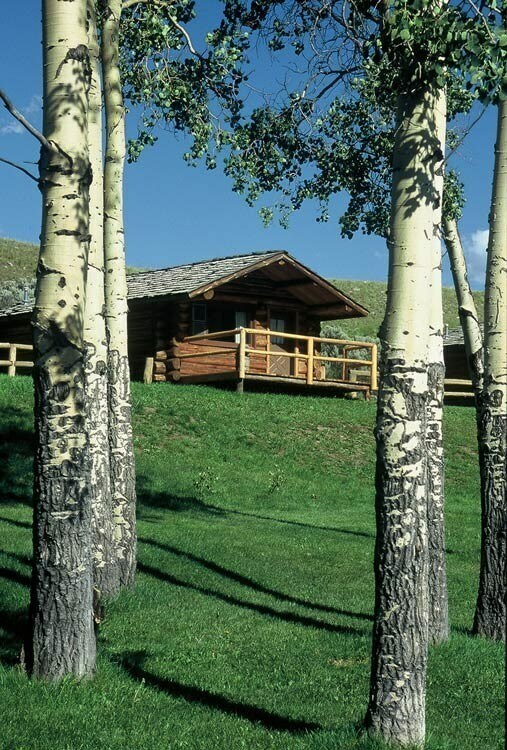 So finding equally exceptional lodging is key. 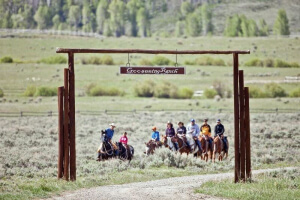 We’ve got just the ticket: glamping at Goosewing Ranch, a dude ranch nestled in the Gros Ventre Valley and Bridger-Teton National Forest. 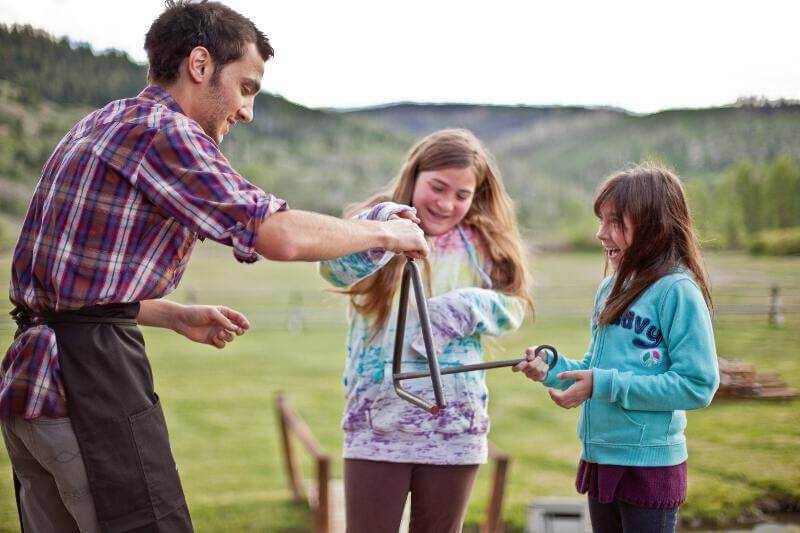 For a third straight season, Goosewing Ranch proudly offers all-inclusive glamping packages. 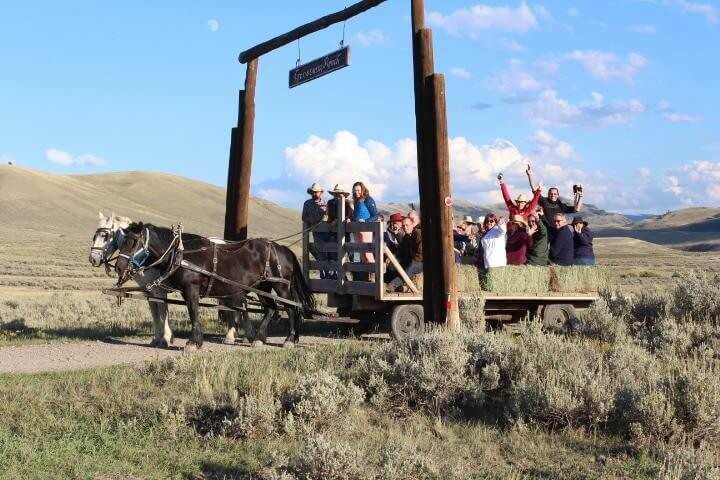 From covered wagon lodging to horseback riding to campfires and cookouts under the stars, Goosewing glamping is the perfect combination of rustic wilderness meets modern amenities. 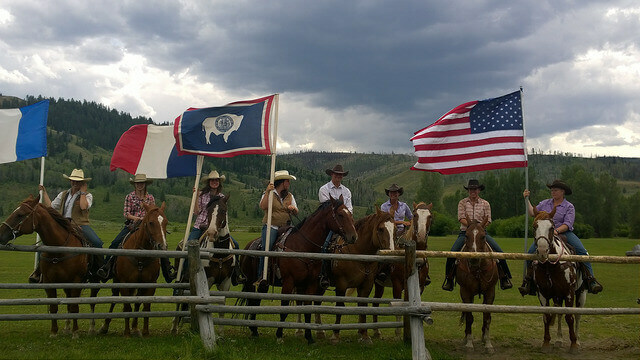 Let our cowboys help you experience the West in comfort and style as we share what our glamping experience is all about. 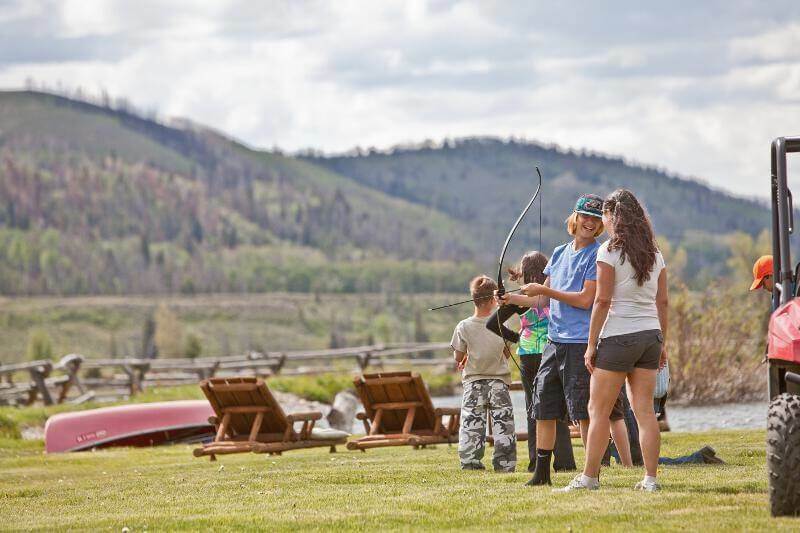 This unique experience will allow you to disconnect from distractions and reconnect with family without sacrificing comfort. 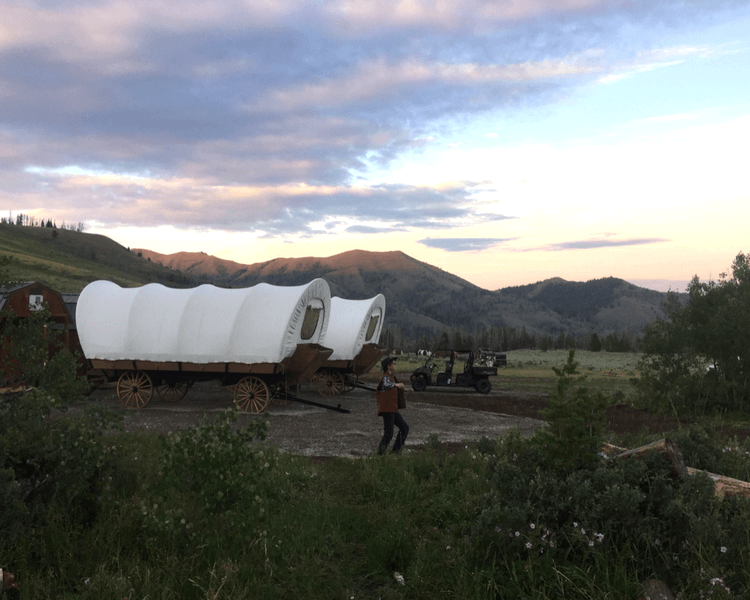 Our glamping accommodations are in authentic, custom, handmade Conestoga wagons. 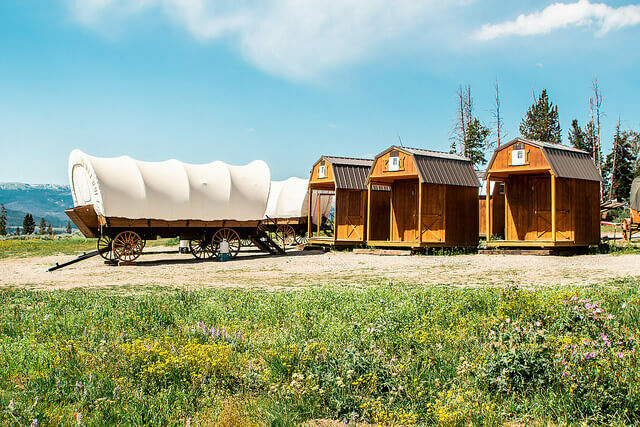 Each wagon contains a king bed and personal detached bath house with full shower and hot water. 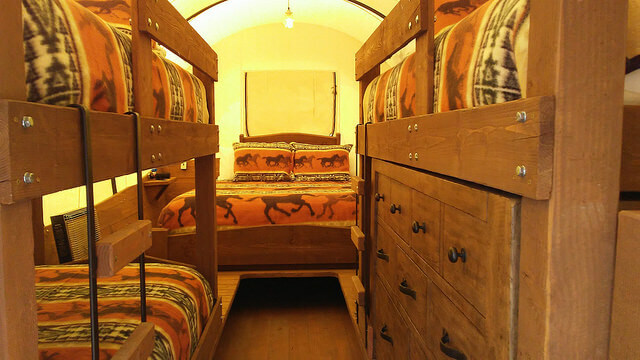 For the larger family, there are also deluxe wagons with two additional sets of twin bunk beds! 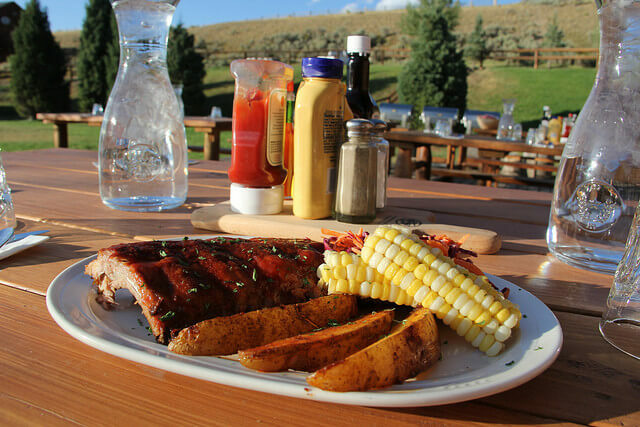 Throughout the day, prepare to be indulged with some classic and hearty Western meals, snacks, and hot or cold beverages. 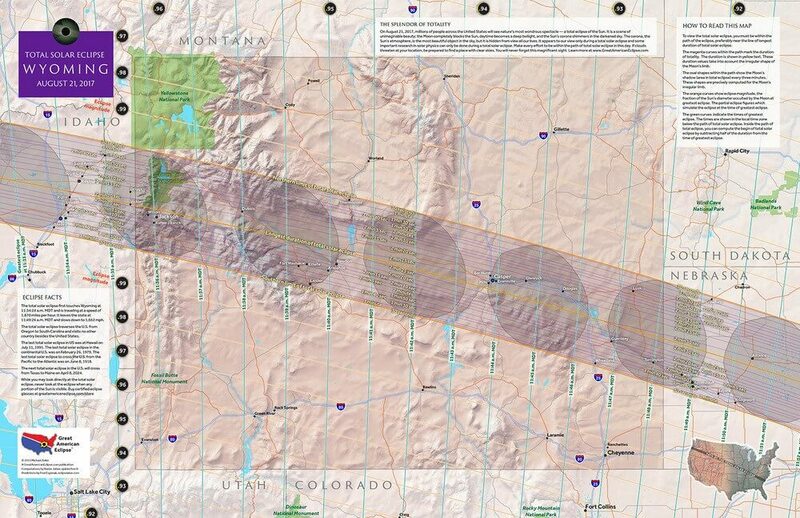 Did we mention? 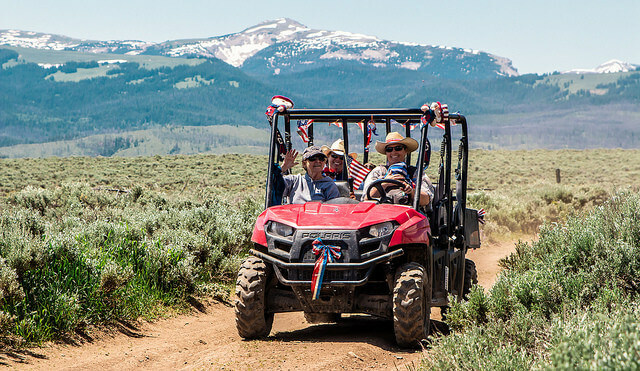 Each wagon also comes with a Polaris Ranger UTV (utility terrain vehicle) exclusively for you and your family to explore the Gros Ventre Valley! Plus, all of the activities on the ranch, including horseback rides and equine activities, hiking, viewing wildlife, fishing (spinner or fly fishing), photography, painting/drawing, reading and relaxing, reflecting, tubing the river, roping, hatchet throwing, archery, cooking, and camp skills will be included. 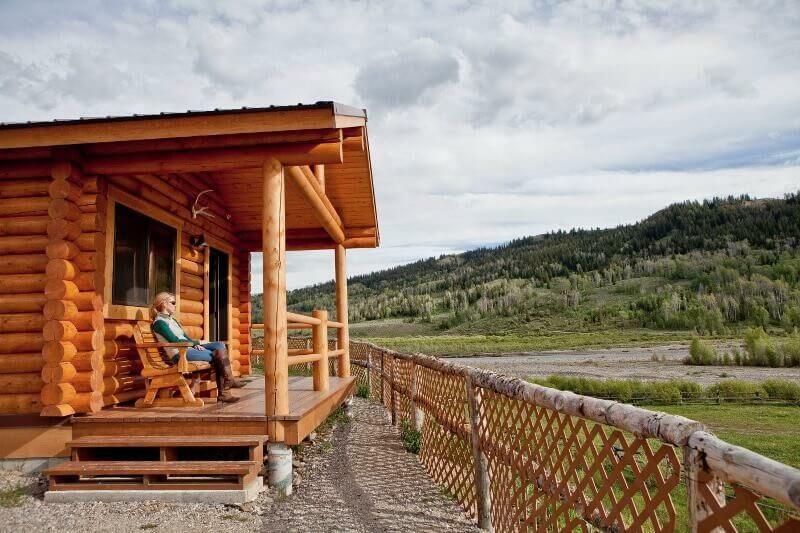 For 2019, two night minimum stay packages are available for glamping from July 15-August 20th. These packages are great for couples, groups of friends, or families. 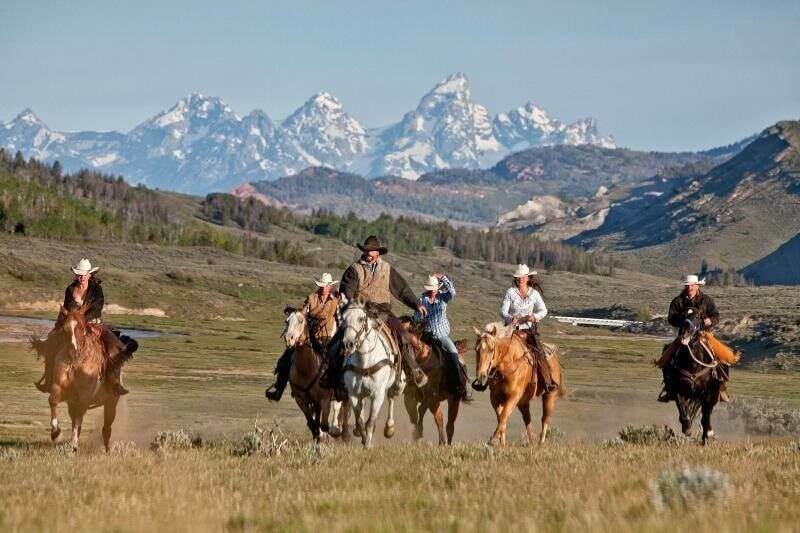 No experience required, just a desire for adventure and western charm. 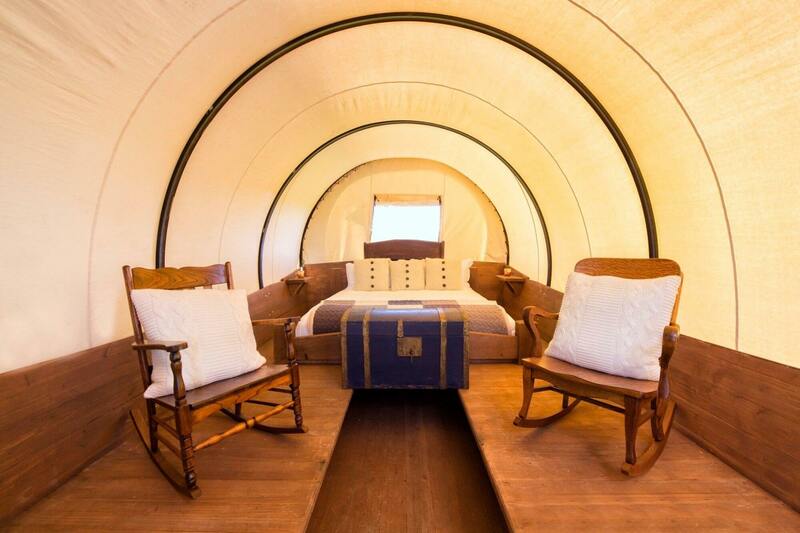 Check out our Glamping Page for rates and reservations. Or read more about our Glamping Site and Experience. 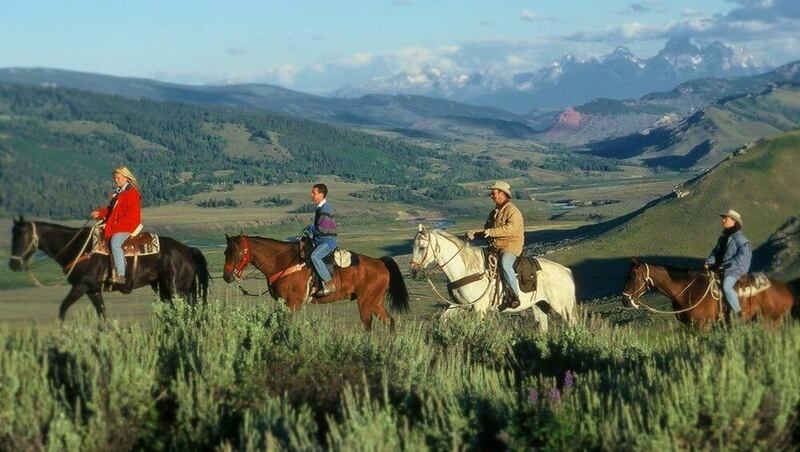 The ranching tradition has forever been built upon the intimate relationship of people and the land. 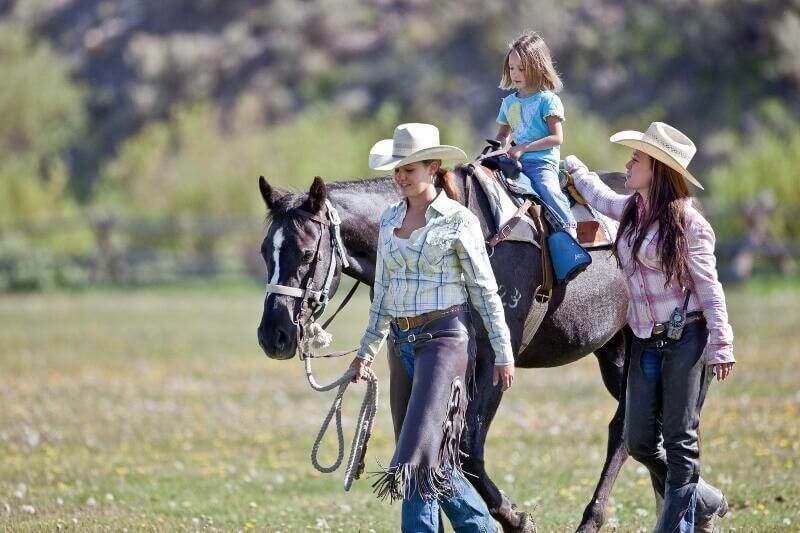 Nowadays we call it sustainability, though the practices of good stewardship have always been a part of ranch life. 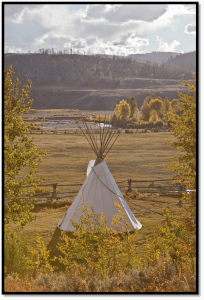 The more respect and care is shown for the land, the more the people who inhabit that land benefit. 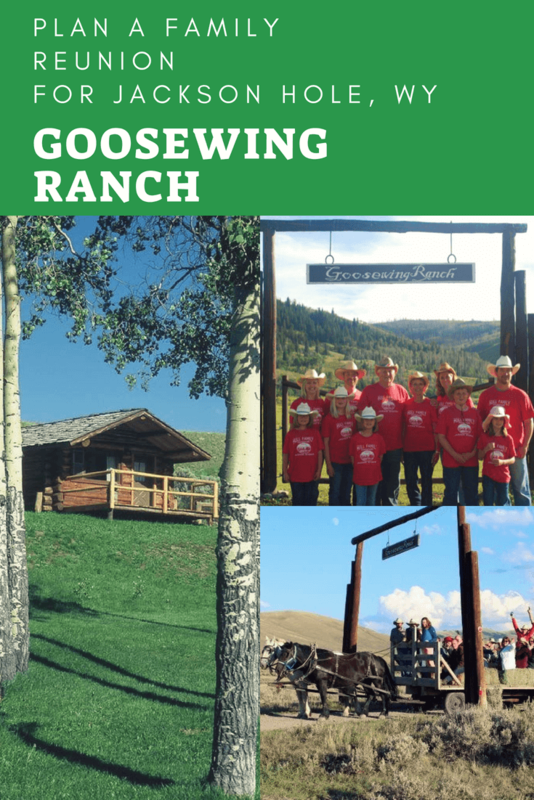 The Goosewing Ranch carries out a philosophy of environmental respect, with a multitude of programs intended to minimize impacts, promote concepts sustainability and live in harmony with the land. 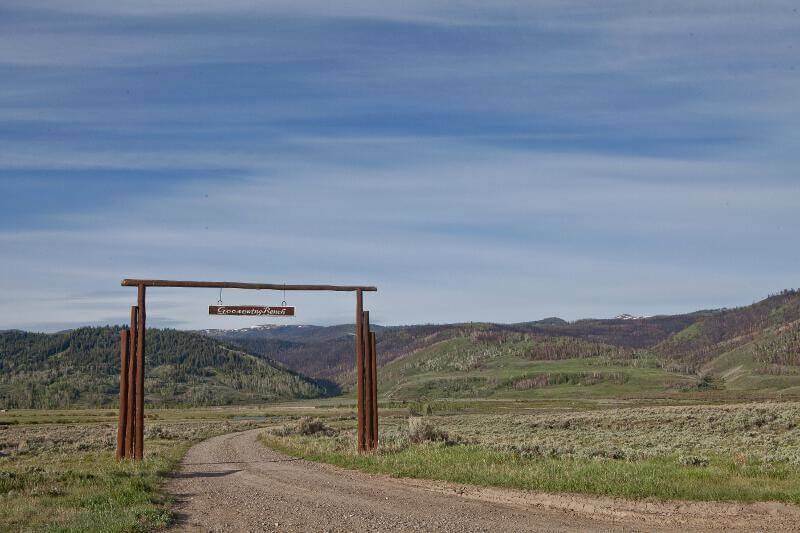 The sustainability mission demonstrates the concepts of reuse, recycling and reducing throughout the many functions of the ranch. 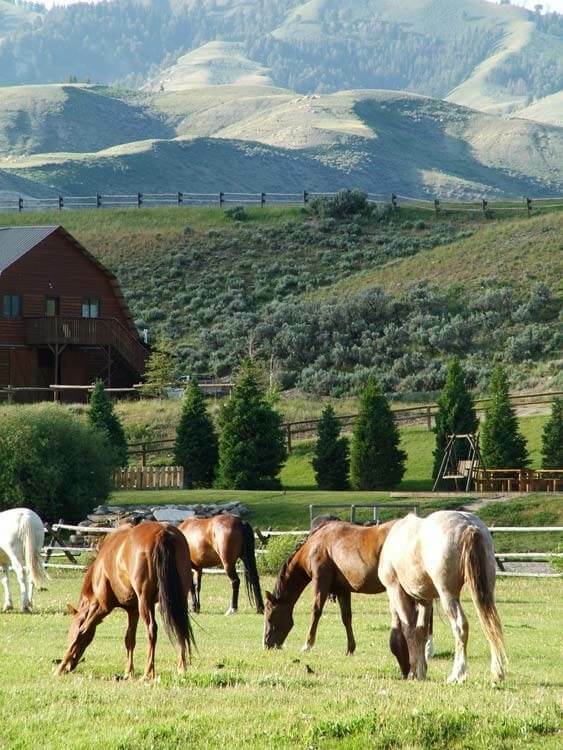 So how does a ranch achieve a sustainable operation? 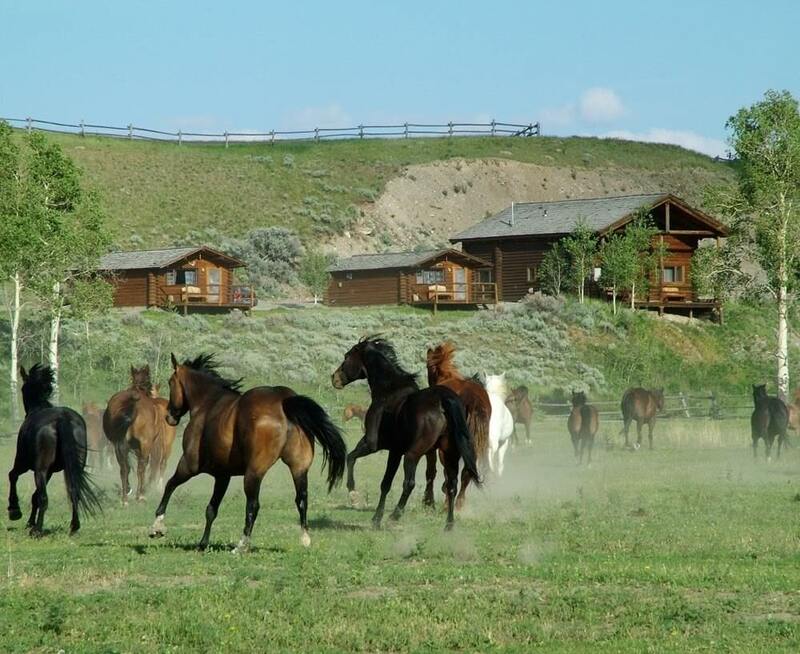 Carefully constructed and well thought out plans have been implemented in just about every area of the ranch functions. Reducing waste is a key feature. In the office, the staff strives to conduct as much paperless business as possible. 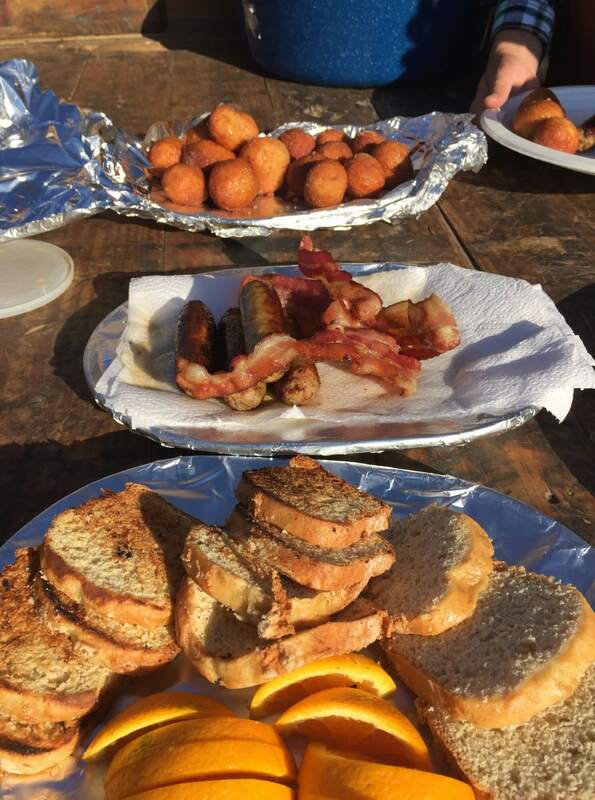 The ranch’s composting program reduces the amount of material sent to the trash, and much of the food scraps are used to feed the pigs and chickens. Reuse of materials is another method used at the Goosewing Ranch to encourage a lighter impact. Guests are encouraged to use the towel reuse plan and are given a waterbottle for their stay that eliminates single-use water bottles. 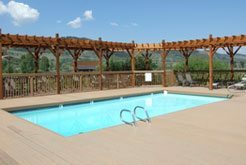 Used motor oil is used for heating, and in the evenings the ranch switches to a smaller power source generator that reduces propane use. Recycling is a part of everyday operations and includes an educational component to teach both guests and staff about all of the green practices in place at the Goosewing. 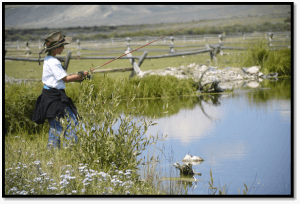 The philosophy of maintaining a peaceful relationship with the land is observed in the use of environmentally friendly cleaning products, utilizing downed and dead trees for ranch projects as well as catch and release fishing. 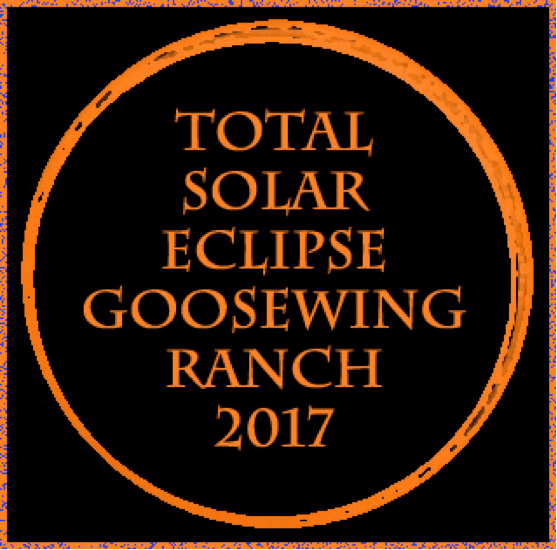 A stay at the Goosewing Ranch provides guests with many enriching experiences, all within harmony and balance of the beautiful landscape.